Kielbasa, also known as Polish sausage, is a tasty and versatile smoked sausage. Use kielbasa in main dish recipes, casseroles, soups, stews, sandwiches, and appetizers. Thinly sliced and fried, it even makes a delicious breakfast meat to serve with eggs, French toast or pancakes. Add it to your favorite breakfast casserole instead of sausage links or patties. If you don't have kielbasa, feel free to substitute with andouille sausage, chorizo, hot dogs, or another smoked or fully cooked sausage. 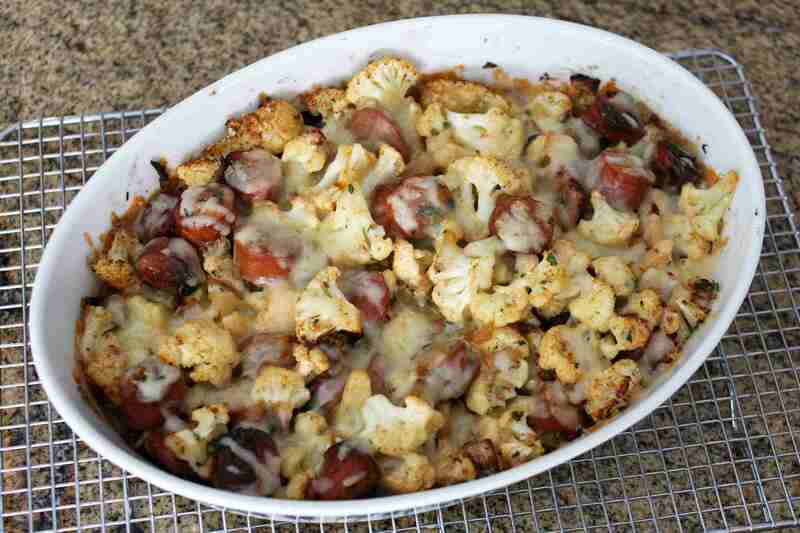 Cauliflower and sausage roast with cheddar cheese contains spicy andouille sausage, but kielbasa would be an excellent choice as well. The sliced sausage is added to the cauliflower florets and roasted to perfection. A topping of cheddar cheese is the perfect finishing touch. This Polish sausage soup is a fabulous mixture of browned kielbasa, onion, and cabbage, along with cubed potatoes and broth. Add some caraway seeds if you like the flavor they bring. Tomatoes are also optional in this uncomplicated soup. Use ​spicy sausage or kielbasa in this tasty soup. The soup boasts a wide variety of vegetables along with the beans, tomatoes, and sausage. Serve the soup with freshly baked cornbread or biscuits. Your family will love this flavorful casserole. Sauerkraut and apples complement the sliced sausages nicely and it's super easy to throw together and bake. Use whatever sausage you have on hand to make this creamy slow cooker sausage stew. Use a gourmet, organic turkey, or chicken sausage if you're looking for some variety. A simple homemade ​barbecue sauce flavors these sliced sausages, along with chunks of onions and optional peppers. Feel free to add some pineapple chunks for sweet and sour flavor. Beans and sausage are a match made in heaven. Smoked sausage, pineapple, and barbecue sauce add texture and flavor to these beans. Serve this sausage and bean dish with cornbread or hot baked biscuits for a simple, budget-friendly family meal. The addition of sliced sausage makes this a hearty, stick-to-your-ribs ​lentil soup. Vegetables include carrots, onions, celery, tomatoes, and spinach, kale, or Swiss chard. You only need three ingredients to make this tasty kielbasa appetizer. Serve the sliced sausage hot from the slow cooker for easy party food. Potatoes and tomatoes are among the ingredients in Paula's smoked sausage stew. The stew includes canned peas, but feel free to use sliced fresh carrots instead. Make it with kielbasa, a spicy andouille, or another kind of smoked sausage. This ​kielbasa recipe is always a hit. 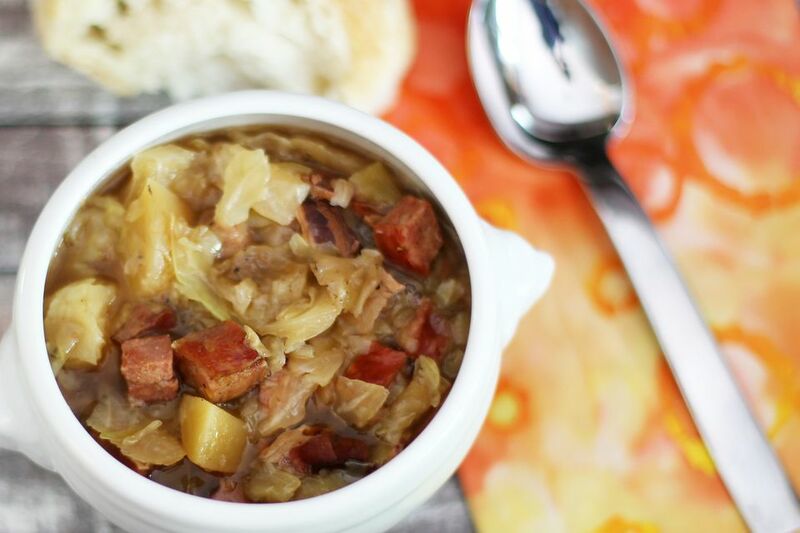 It's a classic combination of sauerkraut, apples, and sausage for the slow cooker. Add caraway seeds or leave them out. It's great game day food that can be made ahead of time. This budget-friendly ​kielbasa recipe includes pineapple, onions, and bell pepper chunks. Serve it with rice as a main meal or serve it as a snack or appetizer. Beer and mustard get together to flavor the smoked sausage in this dish. It's a tasty busy-day dish to serve with potatoes or serve right from the crock pot as an appetizer. Use smoked sausage links or sliced Polish sausage in this crock pot potato dish. Ingredients include sliced potatoes, cabbage, and apple juice. This roasted potato and sausage dish will quickly become a family favorite. Feel free to tailor the vegetables to suit your family's tastes. Baked beans get a makeover in this autumn dish. The delicious combo includes sausage, butternut squash, apples, and tomatoes. Cabbage, apples, and spices team up in this fabulous baked sausage meal. It's a one-pot meal you'll make again and again. This sweet-tart sausage stew is a full-flavored combination of cabbage, beans, tomatoes, and smoked sausage. Serve the stew with crusty bread or rolls. Sliced potatoes and sausage team up in this creamy, cheesy crockpot casserole. Cream of potato soup provides the creaminess and is a good pantry staple to keep on hand. Use a gourmet chicken sausage or turkey sausage in this soup, or use a spicy andouille or kielbasa. The recipe calls for great northern beans, navy beans, and small red beans, but go ahead and use whatever bean you have on hand.